Casual-dining concept Stacked: Food Well Built has named its first chief operating officer as the restaurant tech pioneer plans to expand beyond California under its new private-equity owners. Craig Carlyle, a 20-year veteran of Yard House Restaurants, started Jan. 10 at the five-unit Huntington Beach, Calif.-based company. Stacked, which allows diners to order customized meals using tableside iPads, was purchased by Hargett Hunter and TriSpan private-equity firms in early September. Terms of the deal were not disclosed. Carlyle said coming to Stacked gives him a chance at oversee growth of another entrepreneurial concept. “Being able to influence and help support and participate in the growth of a brand — for me — that’s the most rewarding part. It gives me goosebumps,” Carlyle told Nation’s Restaurant News in an exclusive interview. When he started as a general manager at Yard House in 1998, the brand had one restaurant open in Long Beach, Calif. At the time, Yard House was among a wave of upscale casual-dining concepts cropping up around the nation. It earned a reputation for serving premium food in fancier full-service setting that included a bar with more than 100 taps. Over the years at Yard House, Carlyle was promoted to various positions eventually becoming executive vice president of operations and president. When Orlando, Fla.-based Darden Restaurants Inc. bought Yard House in 2012, it had 40 units. Today, it has 75 locations. Stacked co-founder and CEO Paul Motenko said Stacked will initially look to open more stores in California and Texas. While no leases have been announced, Motenko said it’s possible the brand will add 1 to 2 more locations this year. Motenko said Carlyle’s people-first management style and experience growing Yard House made him the perfect fit for Stacked. 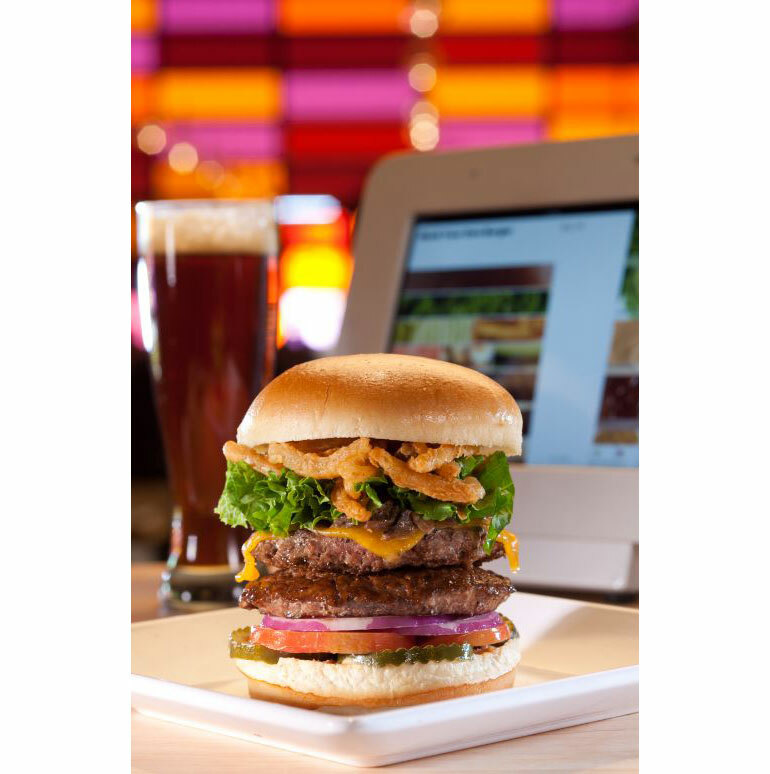 Stacked, which was named an NRN Hot Concepts Award winner in 2012, has earned national buzz for its forward-thinking iPad ordering system. The menu is designed around customization of classic American staples: burgers, sandwiches, flatbreads, salads, macaroni and cheese and burritos. Customers can order food and beverages, and pay the check, without interacting with a server. However, servers do touch tables, and are available whenever a customer needs help. As the company grows, Carlyle said his biggest challenge will be finding the right people to grow with the brand. To do that, he said he believes in giving employees an environment to develop and grow. That is the “selling point to gain the talent we need,” he said. Stacked’s five Southern California restaurants — in Torrance, Cerritos, Thousand Oaks, San Diego and Huntington Beach — together generate nearly $19 million a year, Motenko said. Fifteen percent of sales are generated from delivery orders, the company said.